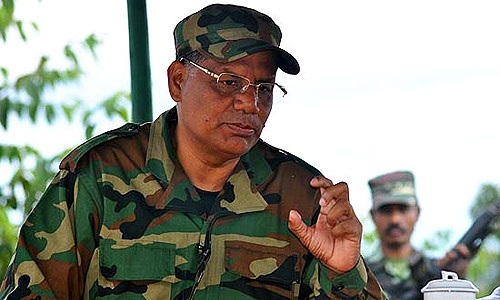 ULFA (Ind) Commander-in-Chief Paresh Baruah has expressed his desire to come to the negotiating table with the Indian government for a permanent and peaceful solution to the decades-long old vexed ULFA problem. In a telephonic interview with the leading vernacular daily of Assam Dainik Janambhumi on Thursday, the ULFA C-in-C said he is ready for a dialogue with the Indian government. Baruah accused a section of police and intelligence officials and surrendered ULFA cadre of creating obstacles in the dialogue process. Baruah said the solution to the problem remained a mirage due to obstacles created by a section of senior police and intelligence officials and some surrendered ULFA cadre because they are against the solution. As a result talks between ULFA and the government yielded no fruitful results, he said. They want the problem to remain alive, he added. Baruah’s comment came at a time when his close friend and PCG member Rebati Phukan went missing that has created flutters in the state. Phukan was trying to bring Baruah in the negotiating table and worked out a formula in this regard. “A section of police and intelligence officials do not want the solution to this ULFA problem as they are looting crores of rupees years after years in the name of solving the militancy problem. For the last 40 years thousands of crores of rupees were siphoned off in the name vexed militancy problem and the amount is not accountable,” Baruah told the vernacular daily.